Kitten Academy classes are viewed live by kitten enthusiasts world over. 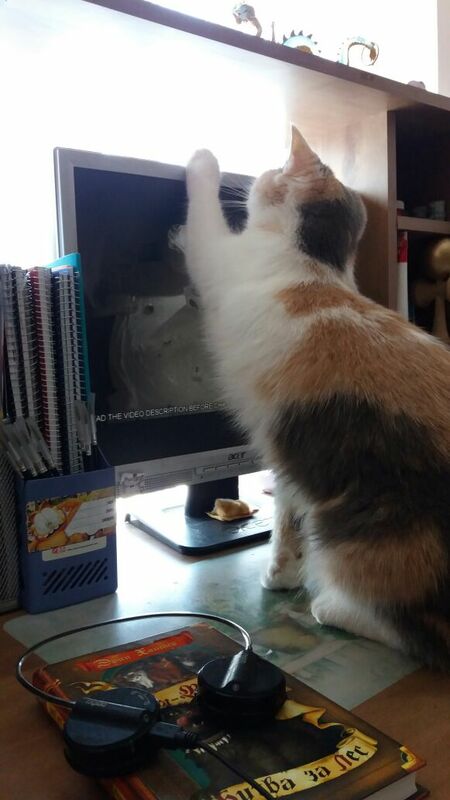 From time to time, the Headmaster receives pictures of cats around the world watching our kittens learning to cat. He also receives expressions of artistic talent capturing kittens in their various academic and extracurricular activities. 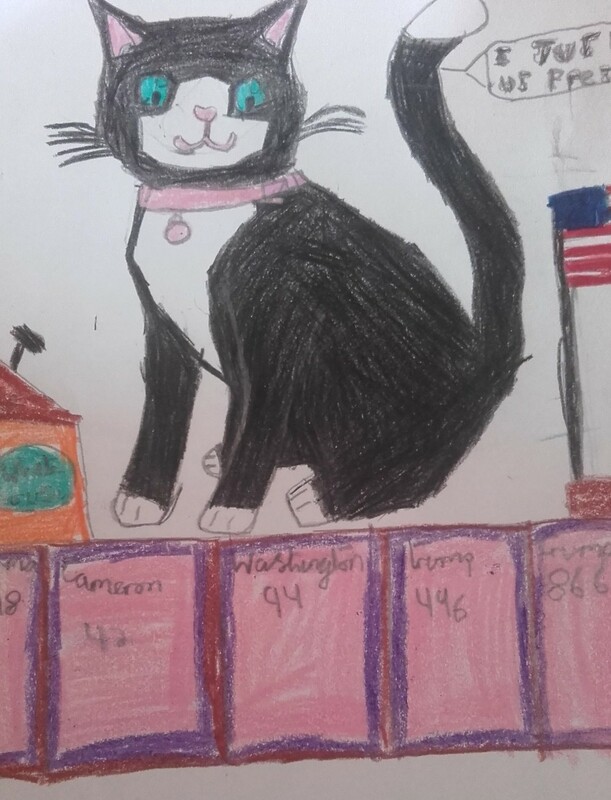 This is a meow-out to all the viewers of the livestream to express the Academy's thanks and to encourage continued submissions of pictures, drawings and notes to the headmaster or to any of the students. Do let us know in your email if it is okay for us to publish your photos/material on the Mewspaper! Headmaster Acro checks his email (headmaster@kitten.academy) several times a day despite his busy schedule of looking regal, contemplating food and tending to the shininess of his magnificent coat. The Headmaster's favorite picks have been showcased below. 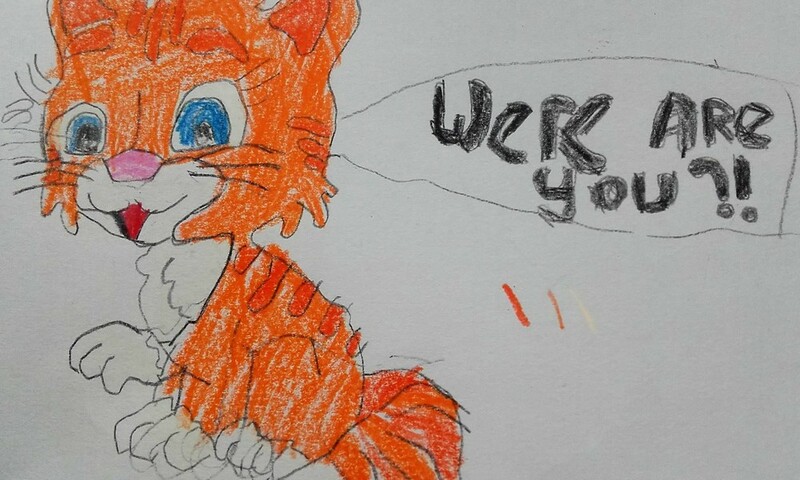 These are artistic interpretations of Crumpet, Toffee and Cobbler by our friend, dinosaur fan. He has been a consistent supporter of Crumpet's future in pawlitics. 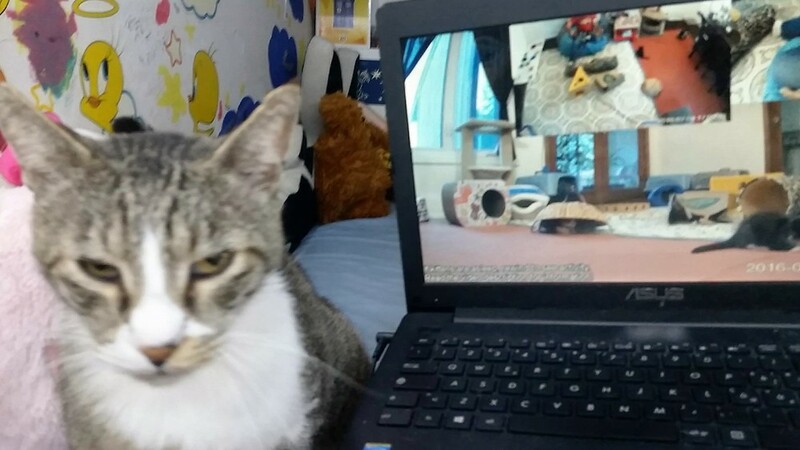 Up next are pictures of our friend, karamelcraft's cat, Basia who likes watching Kitten Academy classes from Israel. Below, you will find our friend, Robyn's cat, Rory looking unimpressed by the goings-on at the Academy and Rory's own take on how to be a cute kitten. 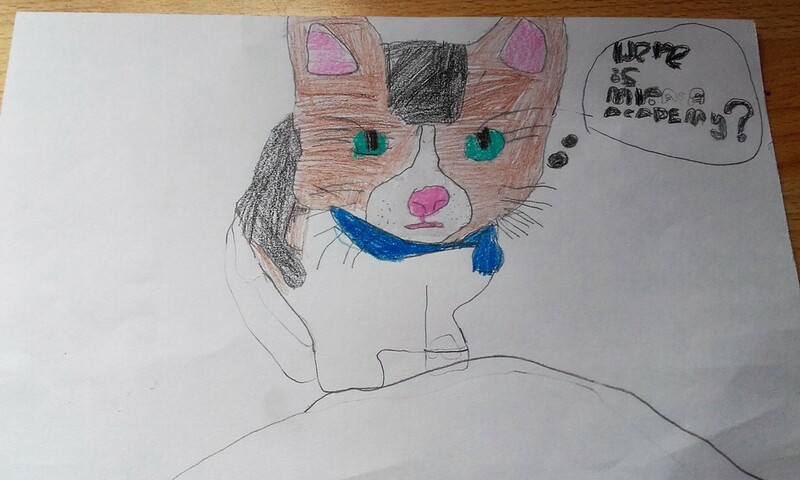 And finally, here are some artistic interpretations of the Kitten Academy students by our livestream friends, Maura, Aelinee and SunnyQueen. Headmaster Acro was particularly impressed by Biscuit's digital portrait! As always, the kittens' activities at the Academy can be viewed on the livestream 24/7. Headmaster Acro and all the professors would like to sign off for now with a resounding meow.